The Naish Pro Team spends the year scouring the planet for the best riding locations. Often, we sit in the office trying to justify the budget with riders flitting off here and there with vague promises of "Don't worry, we're going to score!". We wait, you wait. The shots come in and we are either relieved, or question what the h@#* we were thinking sending riders off to places that are not known for wind. This year, our riders were tasked with documenting their sick sessions, wacky antics...and explaining their budget overruns! The team had to DELIVER ON FILM: the ups, downs, hangovers and stoke that they experience all year. They were challenged to get to know the local rippers, the international celebrities and the beach bum personalities that make up our kiteboarding world. EPISODE ONE of Naish Kiteboarding TV is ON THE AIR! 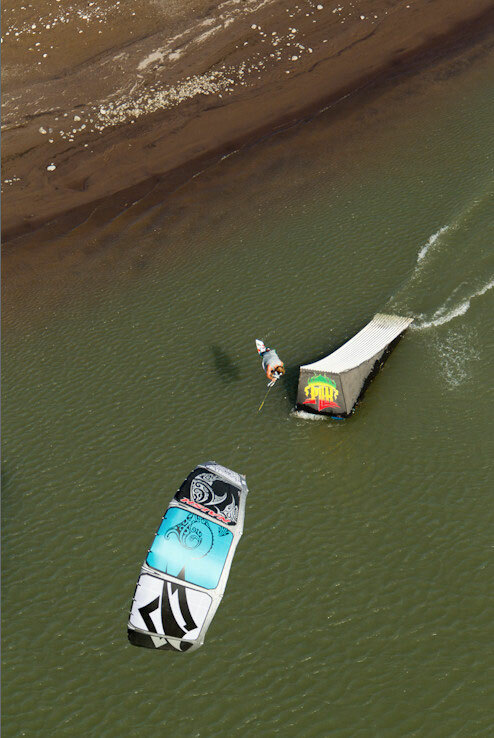 Last summer, Naish flew Sam Light and Rick Jensen to the Gorge for the Ro-Sham-Throw Down. Being both from Europe, they were blown away by the vastness of the American West so they decided to go on a road trip...American style. They bought an old Dodge party van, named her "Betty" and hit the road. From the Gorge, in Hood River, Oregon, Rick and Sam are heading down the coast with a plan to kiteboard their way to Florida. Check out what happens next, when Episode 2: Betty does America (part 2) airs on 03.25.11.